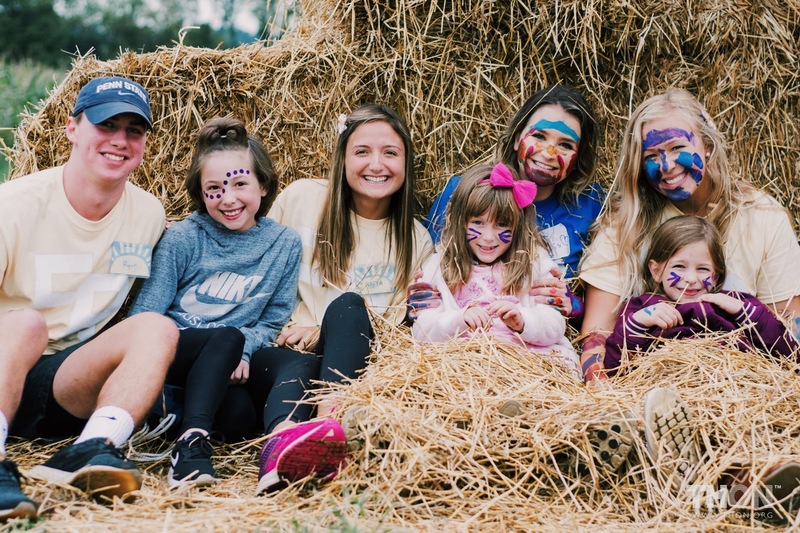 Harvest Day is a chance for Four Diamonds families to bond with THON volunteers and each other in a fun-filled day at a farm in Hershey. Families are can paint faces, play games, take a hayride, and even run through a corn maze! The THON 5K is one of the largest 5Ks in Central Pennsylvania! This event gives families the opportunity to run or walk in the 5K or the kids’ race, as well as partake in various fun activities and games throughout the day. Throughout the year, Penn State Athletics hosts different ‘THON games’ such as Football, Men’s Basketball, Men’s and Women’s Hockey, Men’s and Women’s Soccer, Women’s Volleyball, and more! 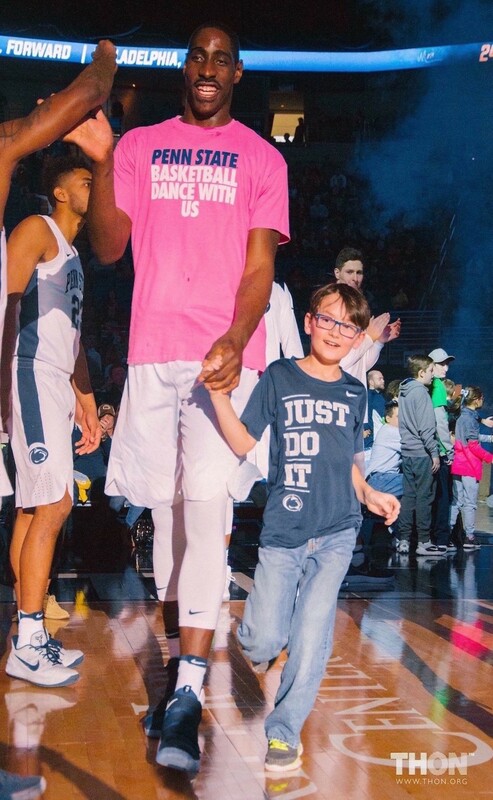 These events often include special opportunities for families, such as pre-game high-five tunnels and half-time on-court events. The THON Family Relations captains host 4 events throughout the year for TEENS ONLY! These include a Halloween-themed night, bowling, and more. This event brings the celebration of 100 Days ‘til THON to the families at Penn State Children’s Hospital! 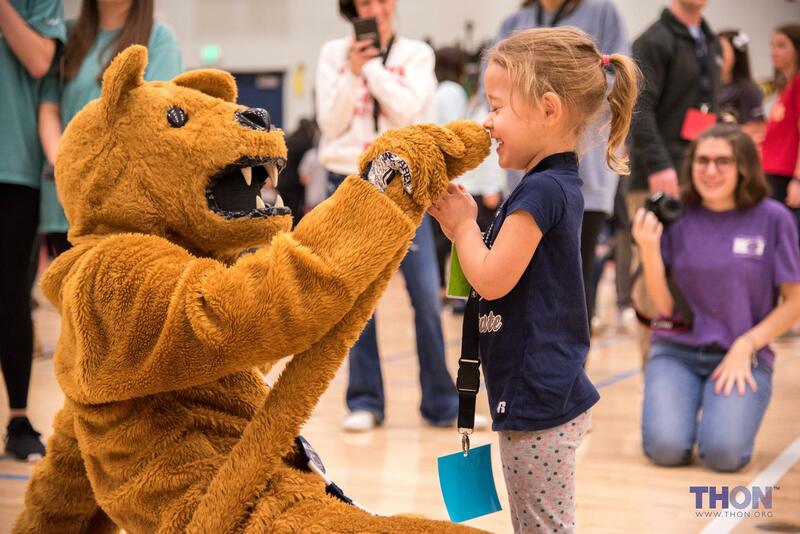 Families can join volunteers for 100 days crafts, games, and cake, as well as a visit from the Nittany Lion and a live stream of the event at Penn State! Families have the chance to get an early taste of the THON Weekend energy and excitement at Family Carnival. Families can play games and make crafts at booths created by THON volunteers, and all attendees gather at the end for the highly anticipated annual THON logo reveal! Families new to THON join Family Relations captains in Hershey for food, games, and an introduction to THON and THON Weekend. This is an opportunity for new families to get to know THON volunteers as well as each other! The THON community honors the memories and light of our bereaved families at this vigil, with a candle for each angel to celebrate their lives and legacies. 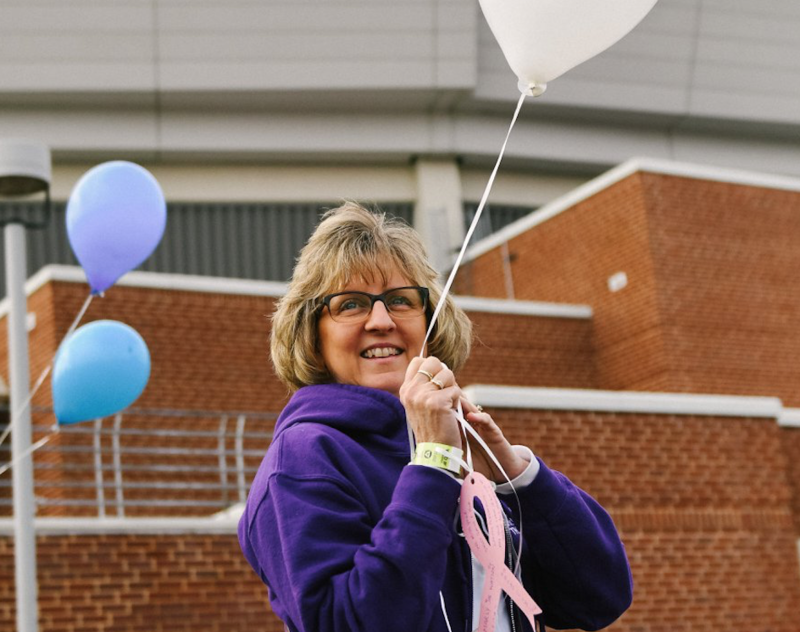 The Balloon Release is an event open to immediate and extended family members of Bereaved Families, during THON Weekend, in which they have the opportunity to commemorate their child in a beautiful way. Families have an opportunity to write a message to their Angel, and then tie that message to the string of a balloon. Then, all families will release their balloons together in the sky, carrying the messages written above. The THON Explorers Program sends THON families on an Adventure outside of the BJC during THON Weekend! Each adventure is an opportunity to enjoy a unique experience, such as time with the Penn State Football team or time in a recording studio! 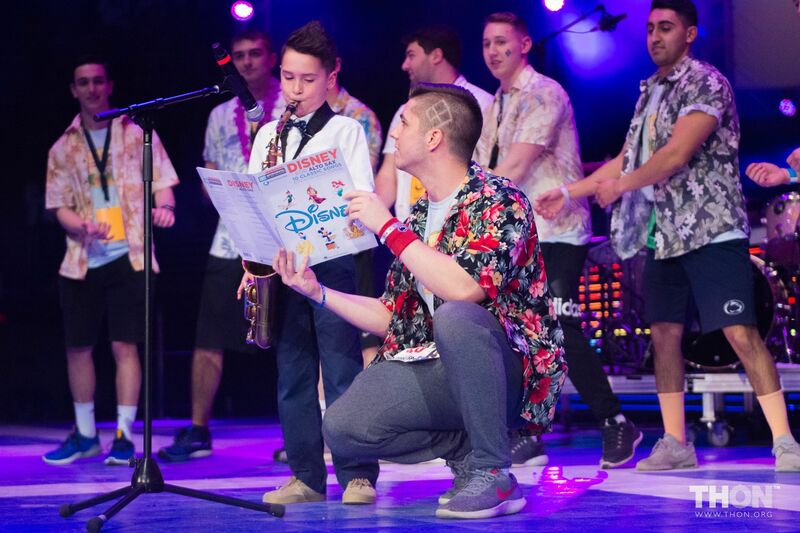 Four Diamonds children and their siblings are invited to share their talents on stage for the entire BJC to see during THON Weekend! Whether it is flipping water bottles on to tables, or singing their heart out for the whole BJC to hear, every child has the chance to show off their individual talents during Kids’ Talent Show. 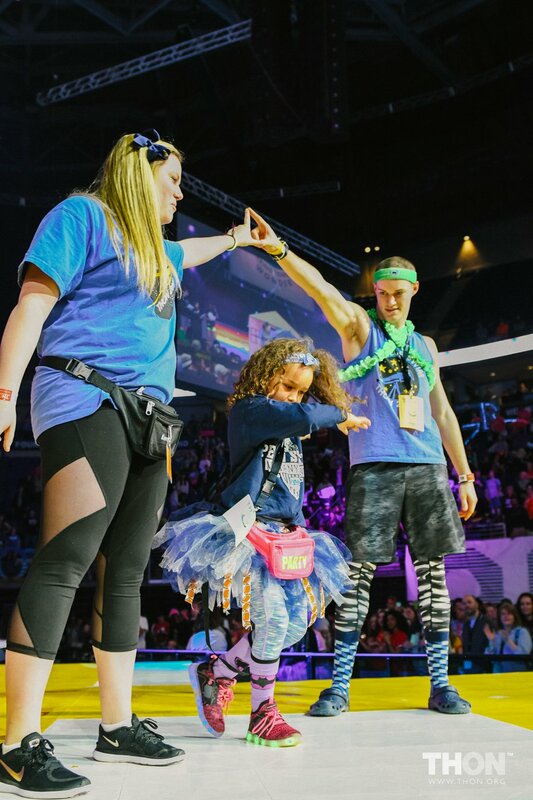 Kids’ Fashion Show is an opportunity during THON weekend for kids and teens to get dressed up and go on stage to entertain the crowd, pump up the dancers, and be celebrated as the stars that they are!